New Delhi: Taking exception to the apex court holding National Judicial Appointments Commission (NJAC) "unconstitutional" and instead favouring restoration of the collegium system for appointing judges, Union Law Minister Ravi Shankar Prasad on Thursday said he is willing to "find a way out" if there is political unanimity over the government having a say in the appointment of judges to higher judiciary. Prasad was replying to a lively debate in the Lok Sabha on the High Court and Supreme Court Judges (Salaries and Conditions of Service) Amendment Bill, 2017, which seeks to revise salary and pensions of the judges of these courts. The lower House later passed the bill by a voice vote. Many MPs who took part in the debate demanded hike in their salaries. 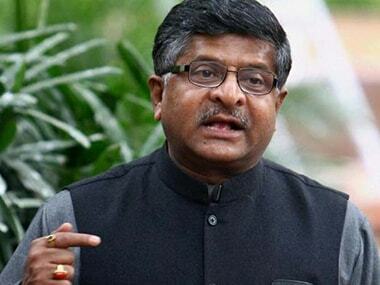 Prasad replied to several points raised by the members and said he "was a great supporter of (the proposal for) All India Judicial Service" on the lines of Indian Administrative Service and Indian Police Service. 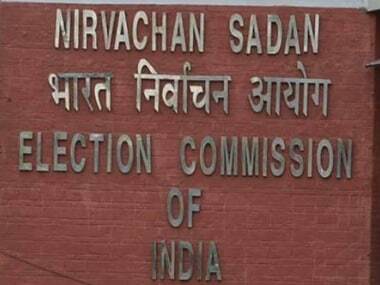 He expressed his anguish at the Supreme Court stating in its judgement pertaining to the NJAC that because the Law Minister was a member of the Commission, he might not act impartially in cases against the government. 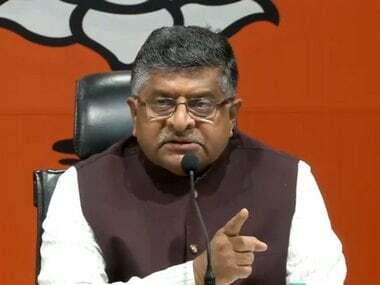 Prasad said the Law Minister was appointed by the same Prime Minister who had a say in deciding key appointments such as those of the President, Vice-President and the Lok Sabha Speaker. He pointed out that the collegium system came in 1993 and the Law Minister used to be part of the selection process before that, adding that "some of the finest judges were appointed" then. The Minister cited the case of the jailed Calcutta High Court judge C.S. Karnan as an instance of how the Supreme Court collegium had erred. "When I examined files, it (the collegium) said he was well-versed in law." "That 'the Law Minister is involved' is not a fair conclusion. I leave it to the House. 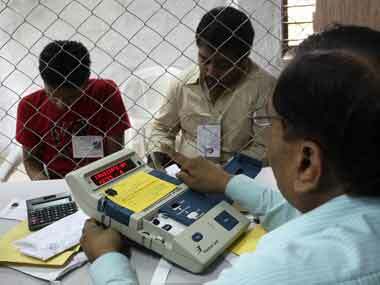 If the polity decides to speak in one voice, we will find a way out," Prasad said. As members expressed their support, Prasad said he was getting a sense of the House. 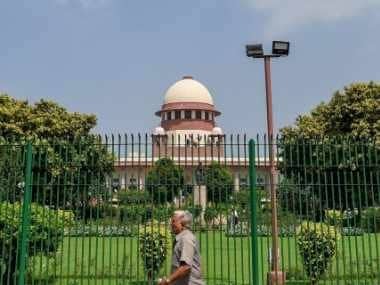 The Supreme Court had rejected the National Judicial Appointments Commission (NJAC) Act and the 99th constitutional amendment, which provided for the formation of the Commission. Prasad began by stating that he was proud of the judiciary. "We should respect our judiciary. It is very important to salute courage, heritage of judiciary." During the debate, several members also spoke about the encroachment of powers of the legislature. Trinamool Congress MP Kalyan Banerjee said if this was not stopped, a day would come when "there will be a direct conflict" between the legislature and the judiciary. The bill seeks to revise the salaries, gratuity, allowances and pensions of the judges of the Supreme Court and high courts, including those who have retired. Under its provisions, the Chief Justice of India will get a monthly salary of Rs 2.8 lakh from the present Rs 1 lakh and judges of the Supreme Court and chief justices of the high courts will draw a monthly salary of Rs 2.5 lakh from the present Rs 90,000.